As a lacrosse goalie, Belle C. is used to working with others on the field to defend the net at all costs. So, when it comes to managing her cystic fibrosis, she knows that it takes a team approach for her to stay healthy. Belle’s family first learned that she had the genetic disease at age 2 and initially went out-of-state seeking nationally-recognized care. “When I told them we live near Morristown, they told us that we had some of the best experts in the country right in our backyards at Atlantic Health System,” says Belle’s mom, Liz. Since then, the family has relied on the medical professionals at Goryeb Children’s Hospital to help Belle lead an active and normal childhood. Keeping healthy with cystic fibrosis is no small task because it affects a variety of areas in the body. It causes a thick mucus to develop in the lungs, which can lead to chronic respiratory infections. The disease also reduces how well the pancreas and intestines work, making it difficult for the body to absorb nutrients without extra effort. According to Arthur Atlas, MD, director of the Respiratory Center for Children at Goryeb Children’s Hospital, the key to successful management of cystic fibrosis is working very closely with a variety of specialists and pulling in other experts on-site whenever needed. In Belle’s case, a respiratory therapist taught her the proper breathing exercises to keep her airway clear. At home, she uses a special mechanical vest twice a day during nebulizer breathing treatments, which along with medicines, helps keep potentially life-threatening infections at bay. 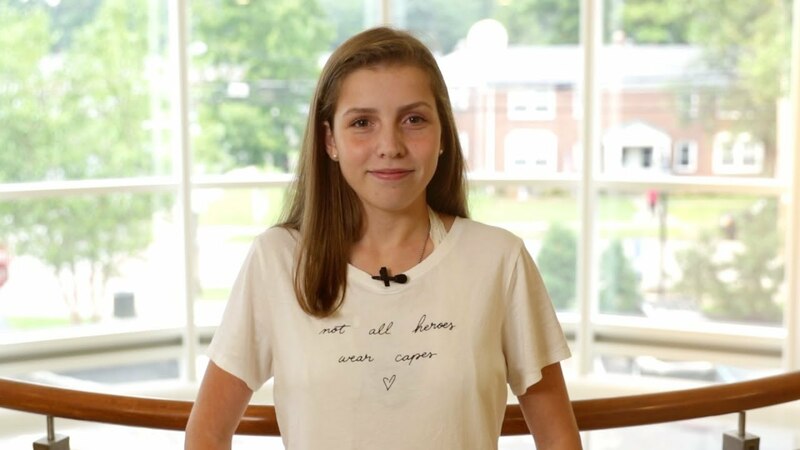 Belle’s team has also created a feeding tube regimen to ensure proper growth and provide her with enough calories to support an active life style that includes three-hour lacrosse practices six days a week. Full pulmonary and gastrointestinal checkups are required several times a year to keep her on track. Due to the seriousness of the disease, patients with cystic fibrosis can get still very sick, even if they have the best care and strictly follow their treatment regimen. Belle is one of the fortunate ones who has remained healthy – a testament to her detailed, personalized plan of care. Over her entire life, she’s only had one overnight hospital stay related to her condition. In fact, with all the support and teaching Belle has received from her care team, this determined young woman is more than prepared for her next challenge. She’s been accepted to Goucher College in Maryland, where as a freshman in 2019, she’ll play for their lacrosse team.